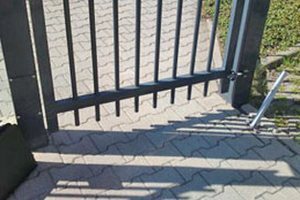 In the past a note requested to always close the gates – what not always had the desired result. 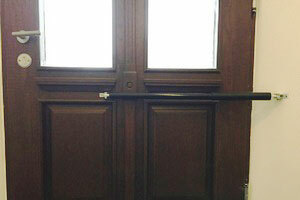 Now the Gate Closer DIREKT takes care of this duty. 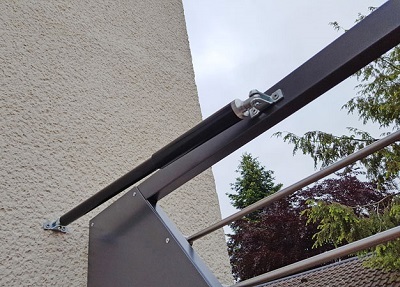 Fixed on the jamb and on the gate, it always automatically closes the gate after every opening – without any risk of injuries due to a gate closing to fast because the closing speed can be exactly adjusted to the needs on site. 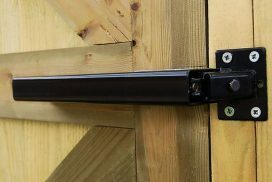 The GGC is a simple gate closer which makes it really easy to install. 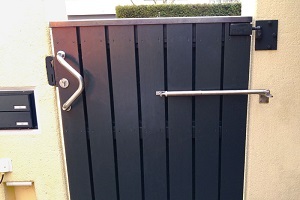 This Closer is particularly suited for smaller gates where the gate weight is less than 50 kg and the widht is no more than 1000 mm, like garden gates and picket gates.